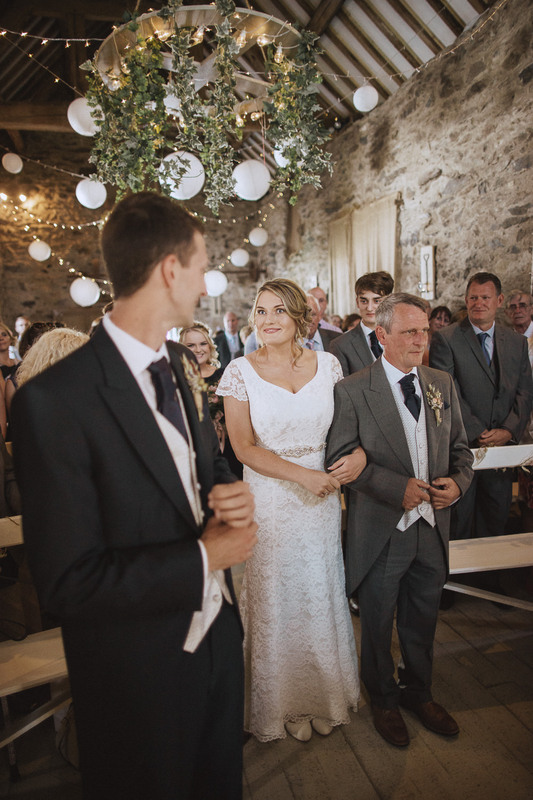 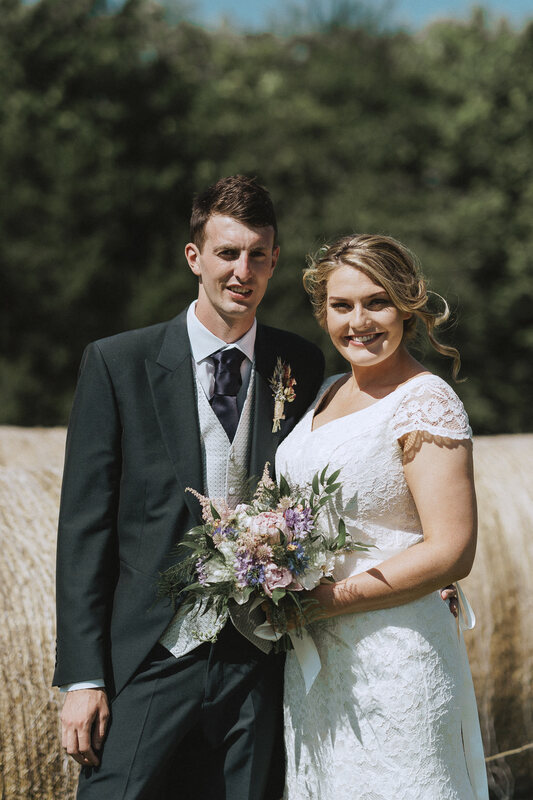 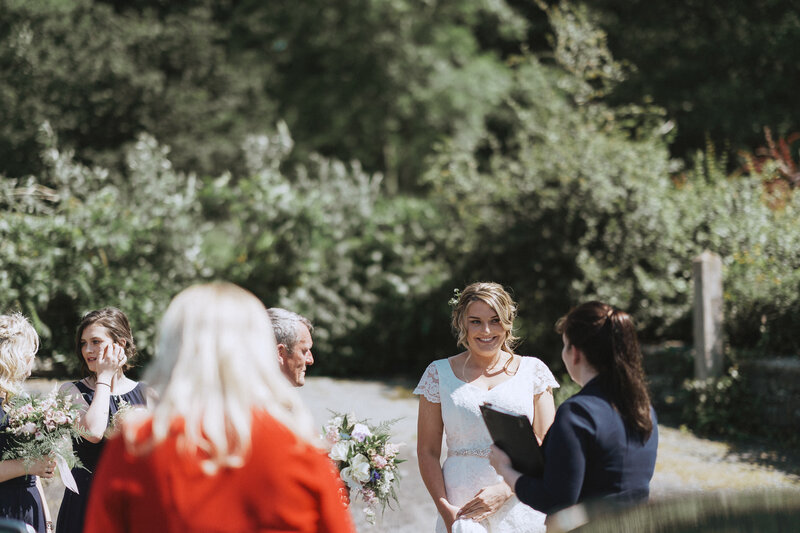 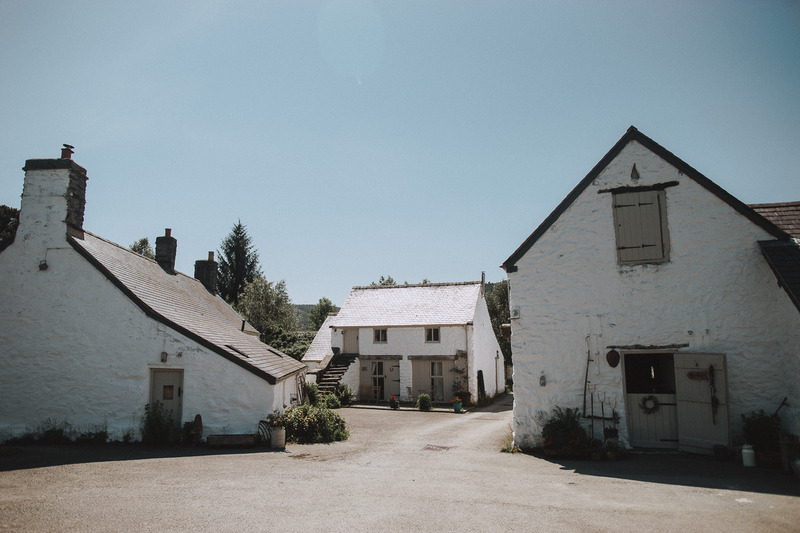 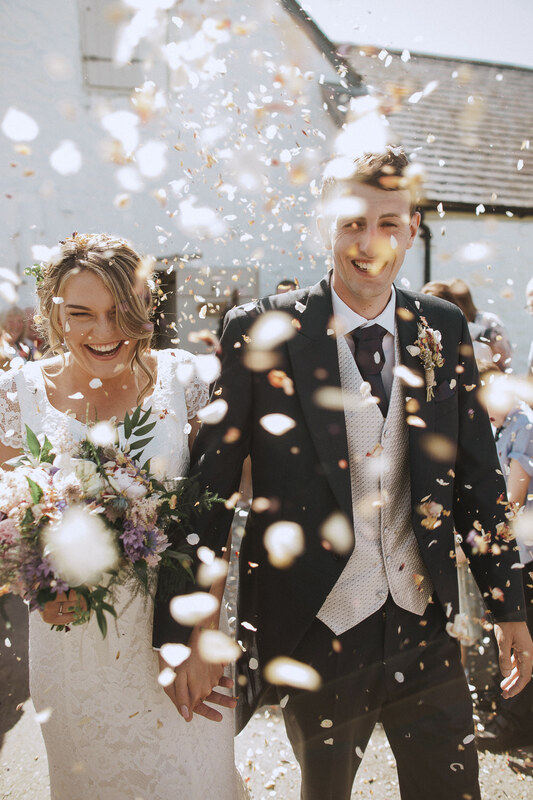 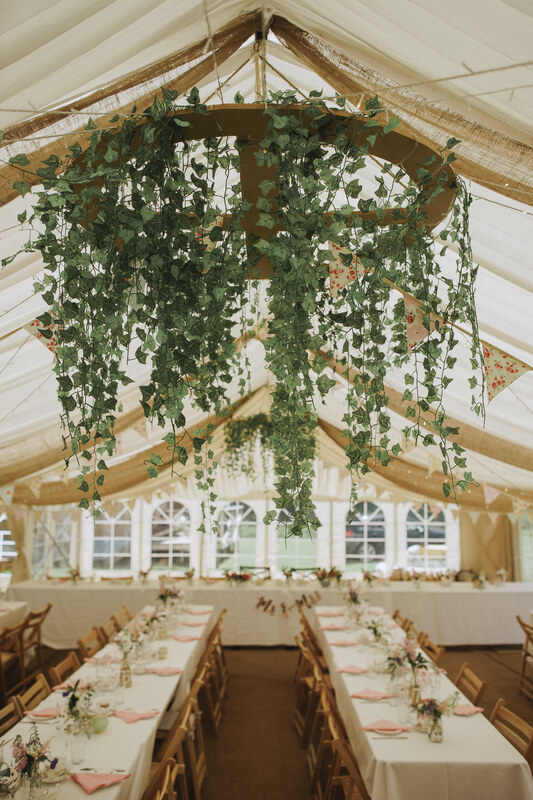 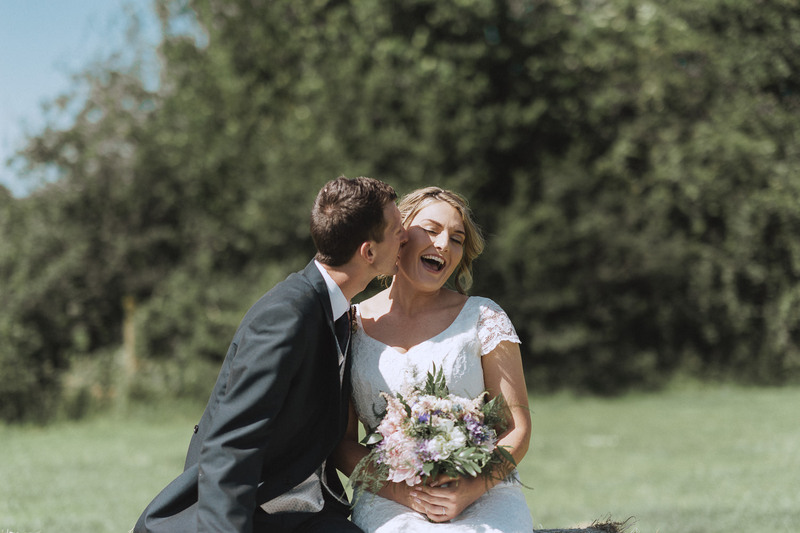 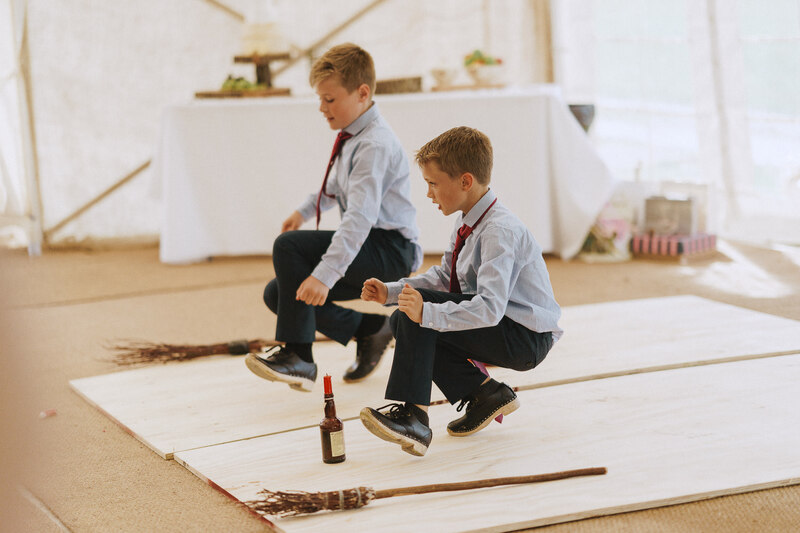 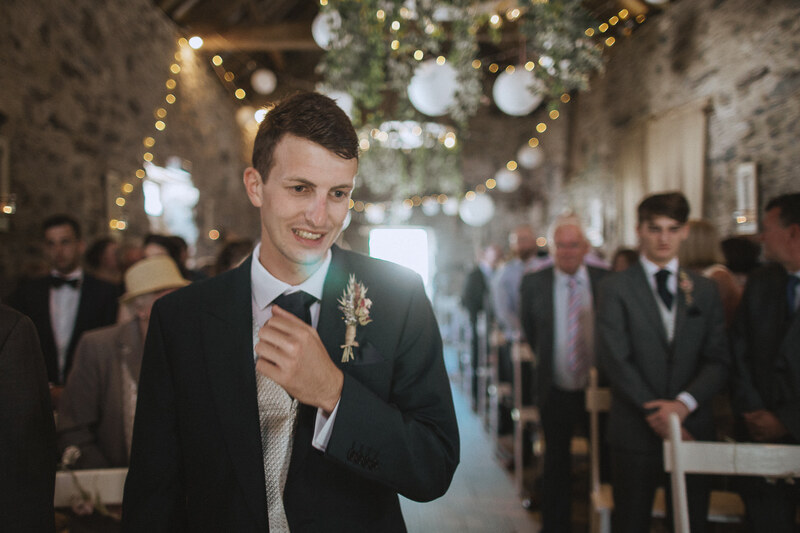 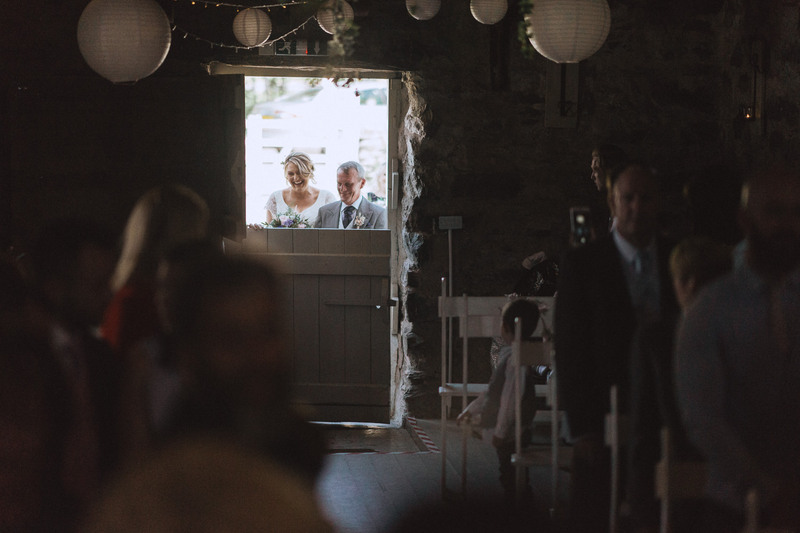 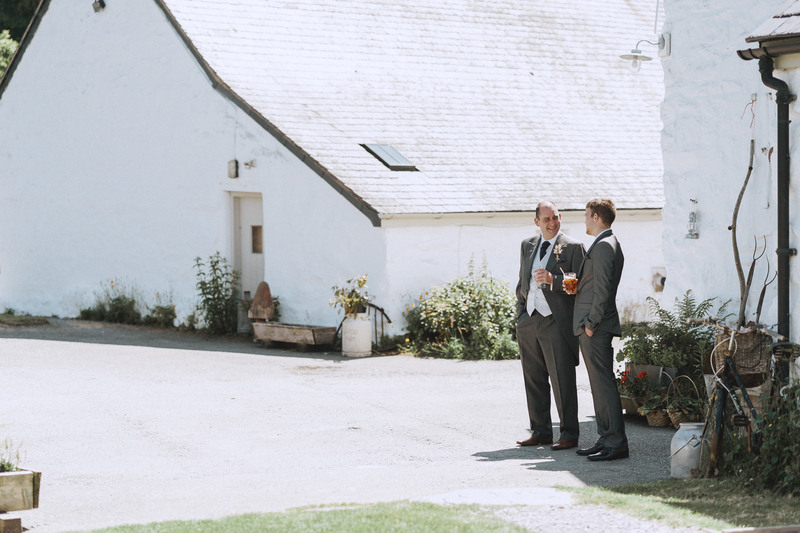 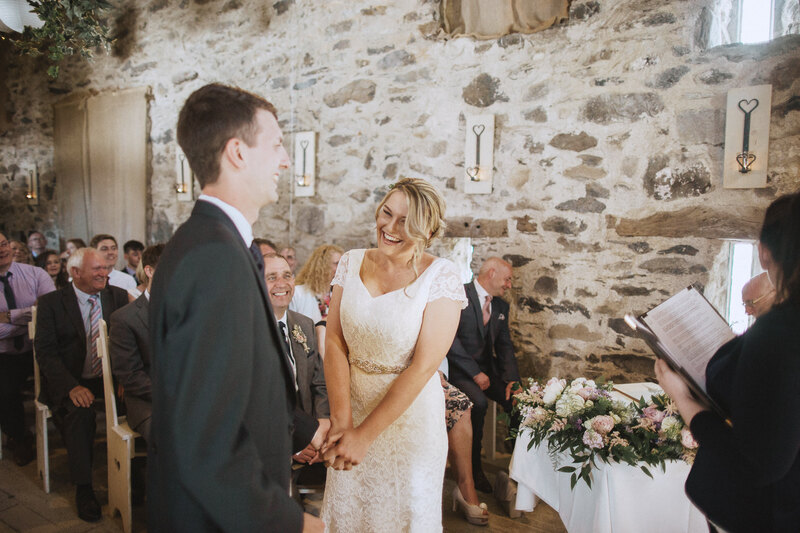 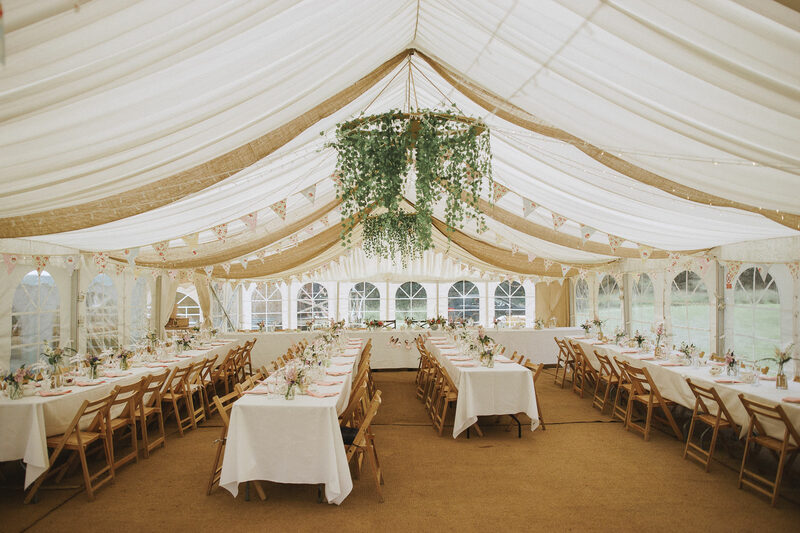 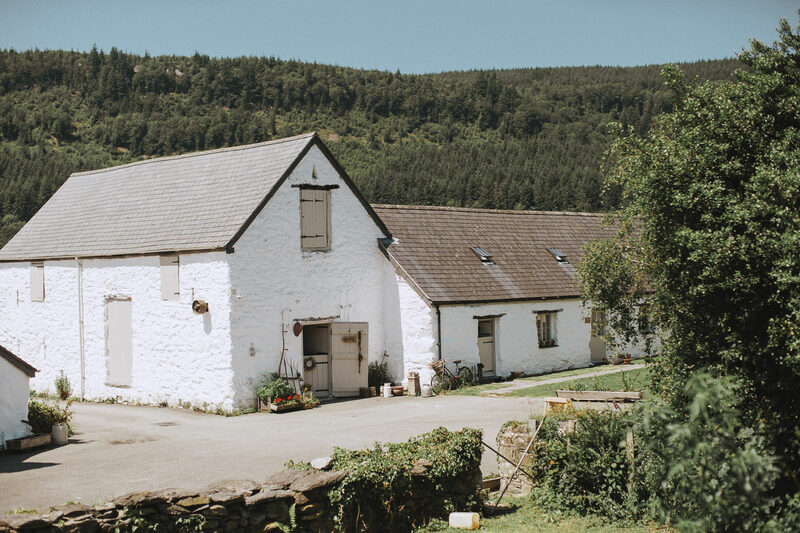 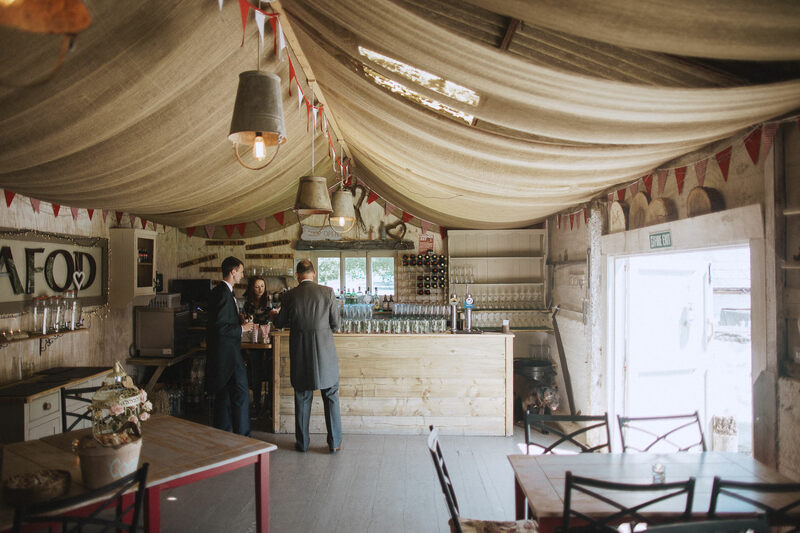 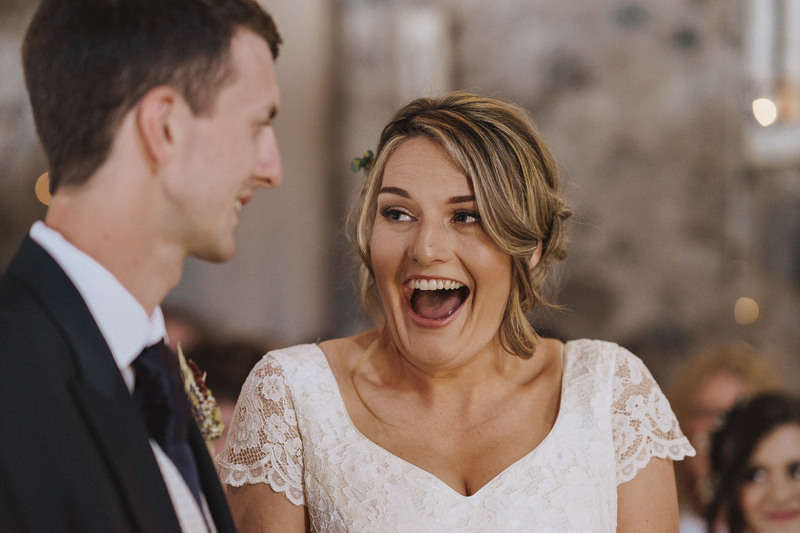 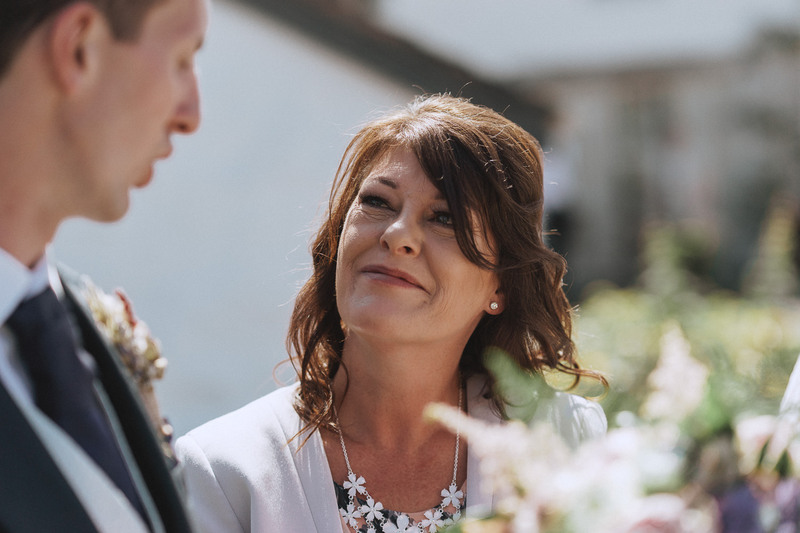 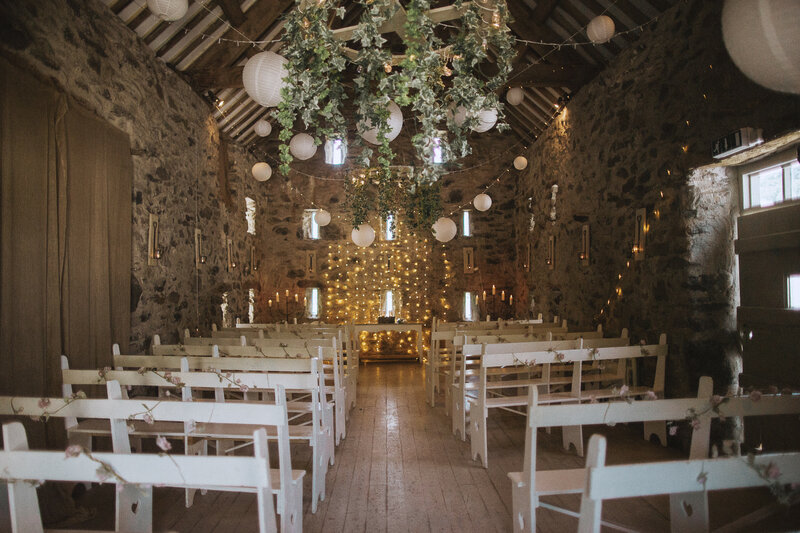 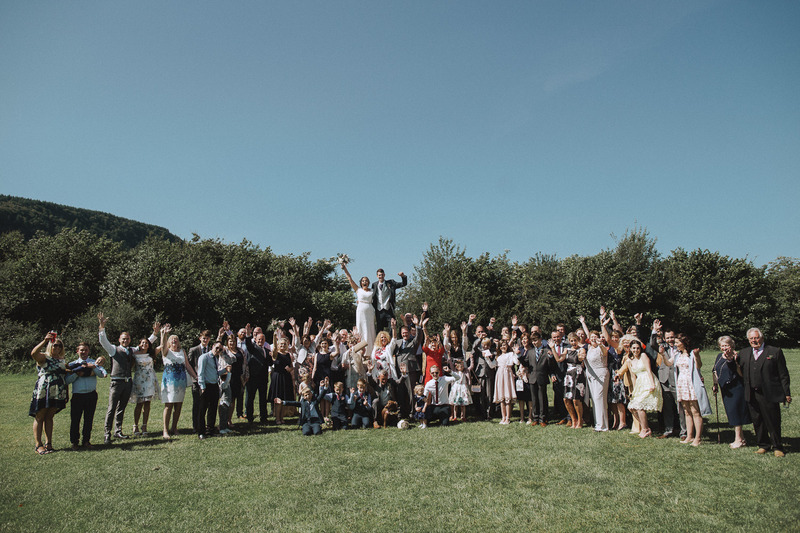 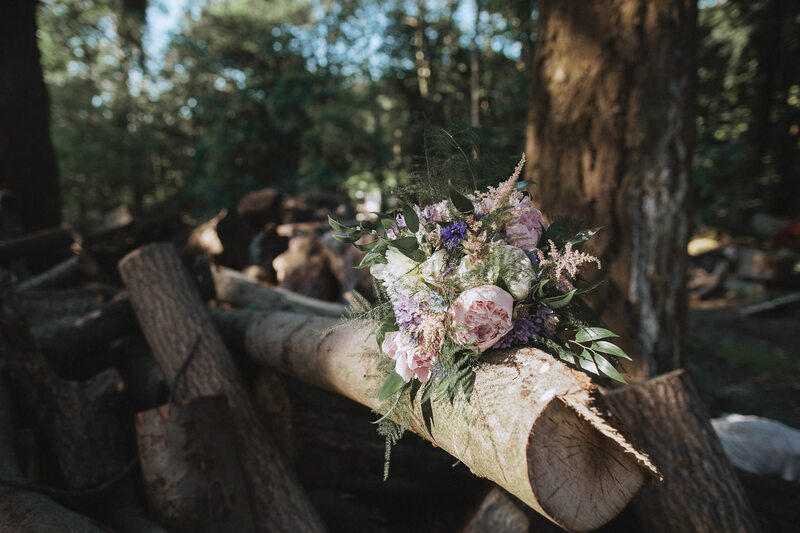 These guys just celebrated their 1 year anniversary so it’s a perfect time for their amazing countryside barn wedding at Hafod Farm to hit the blog. 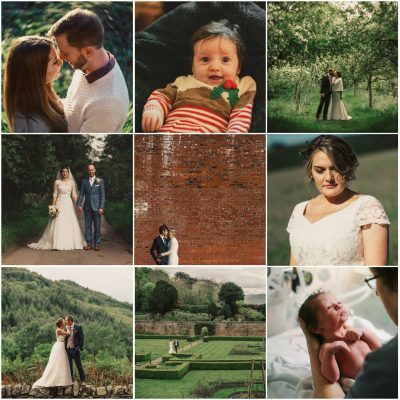 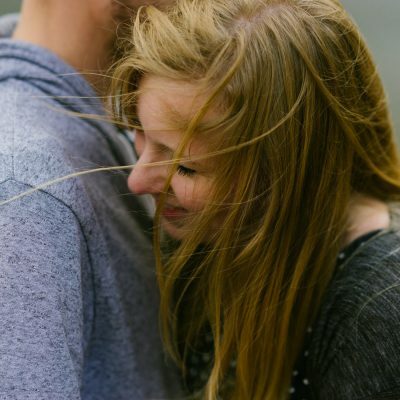 We were so excited to be asked by Lucy and Adam to shoot their wedding day. 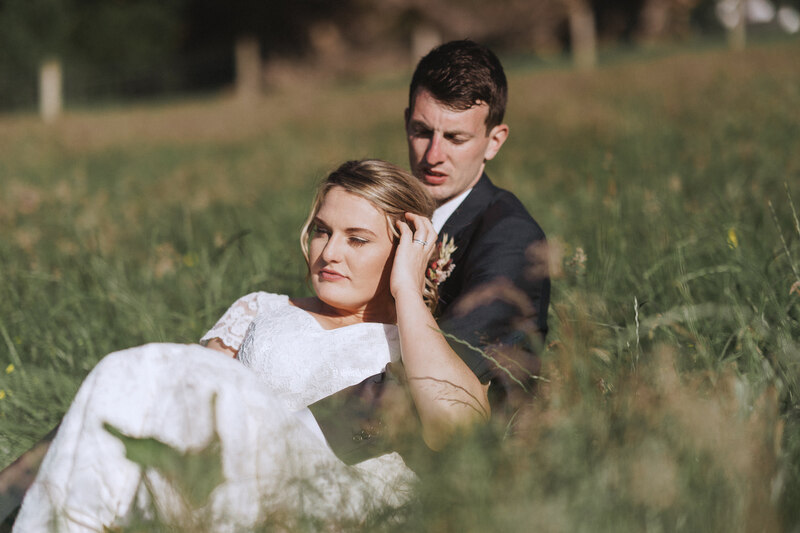 They just wanted to have the most relaxed and joy filled day. 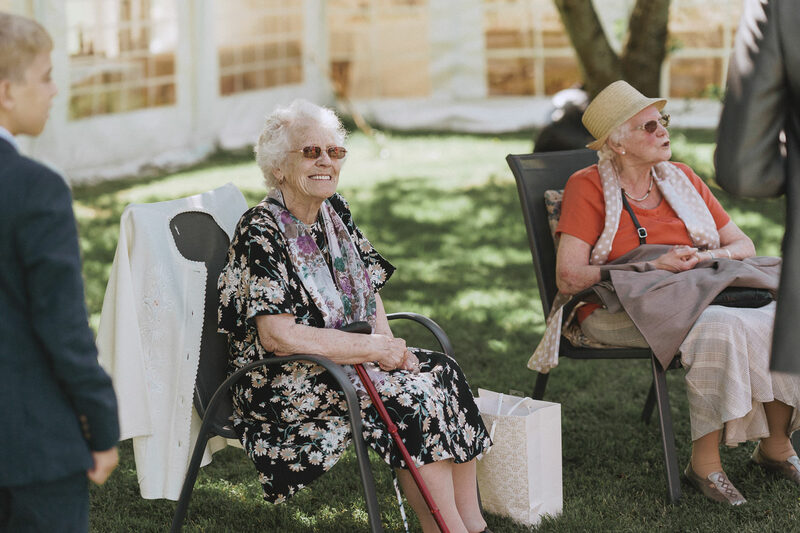 After getting ready at Lucy’s family home, the two of them spent the day surrounded by their family on one of the hottest days of the year! 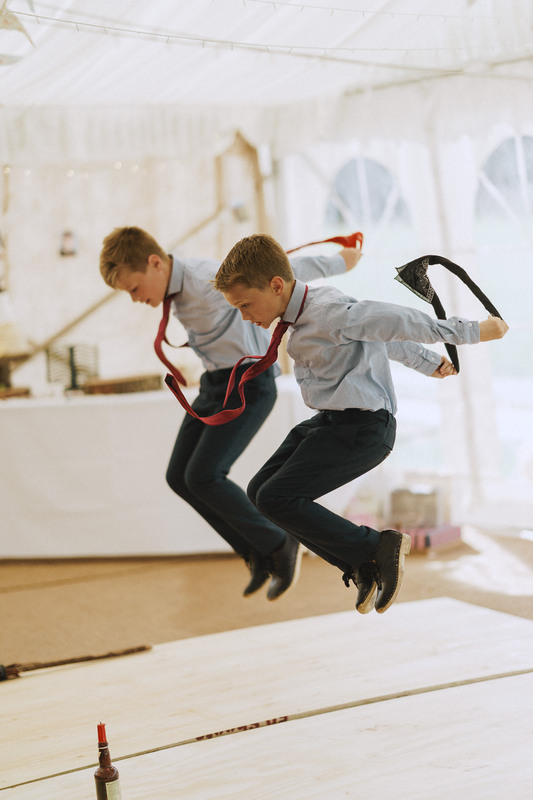 Highlights of the day included climbing on hay bales for family photographs, afternoon tea with cakes and sandwiches, cheese wheel cake and a surprise dance from two boys who had recently performed at the Eisteddfod. 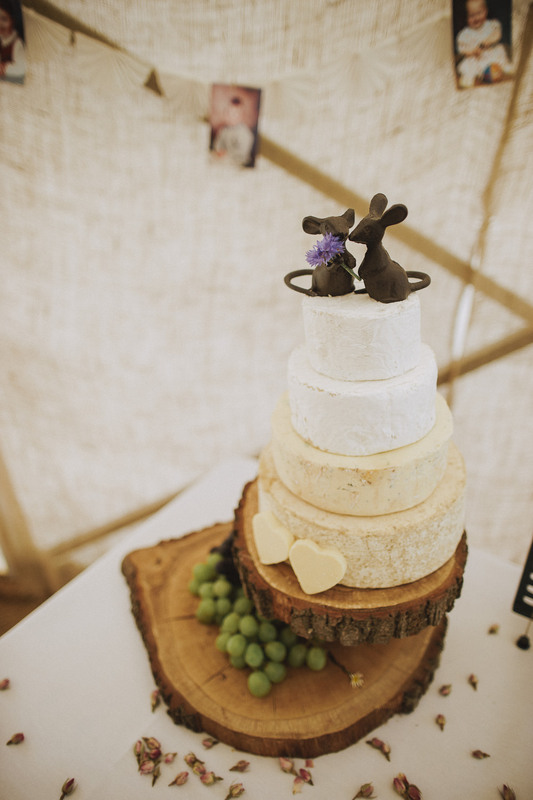 Everything was home grown and home made. 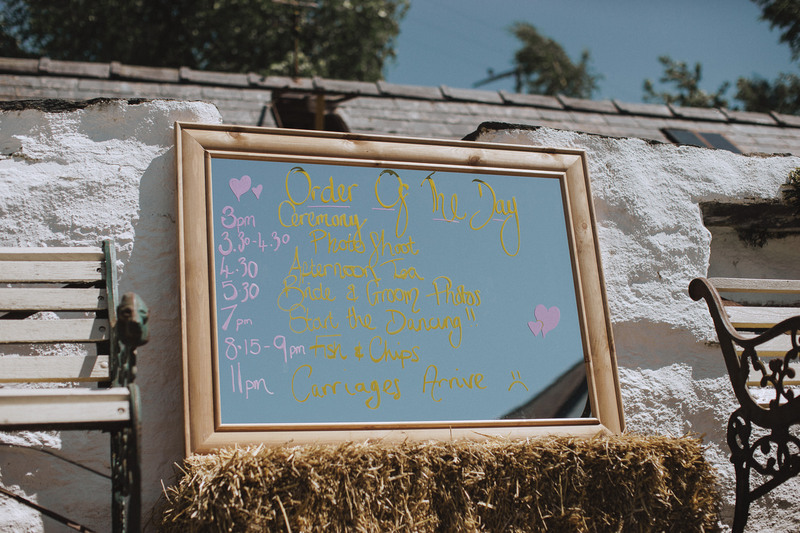 From the pallet-board welcome signs, to the handwritten order of service on a repurposed mirror. 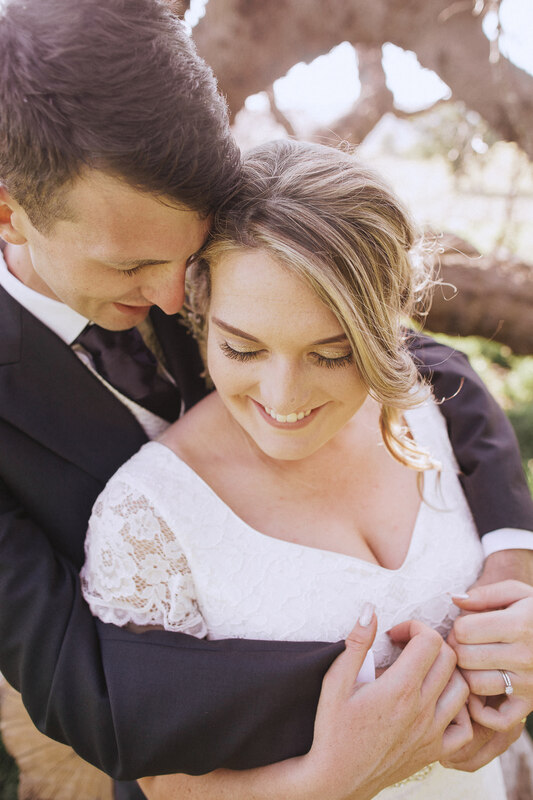 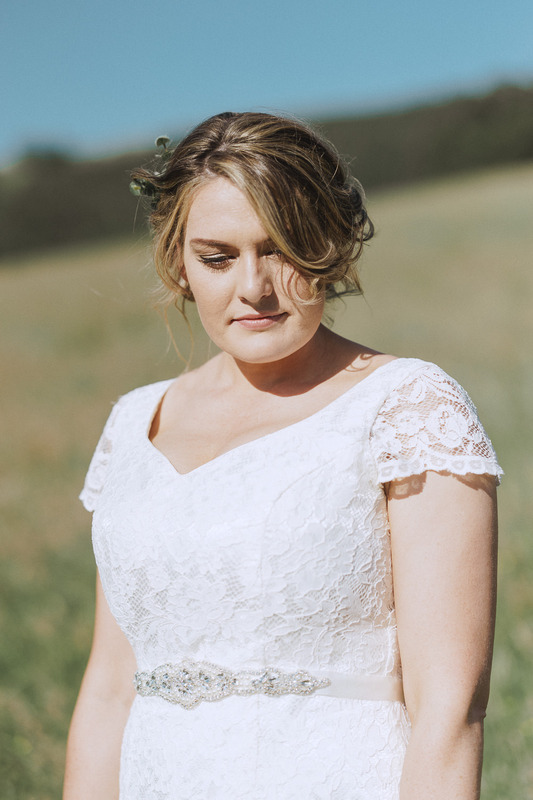 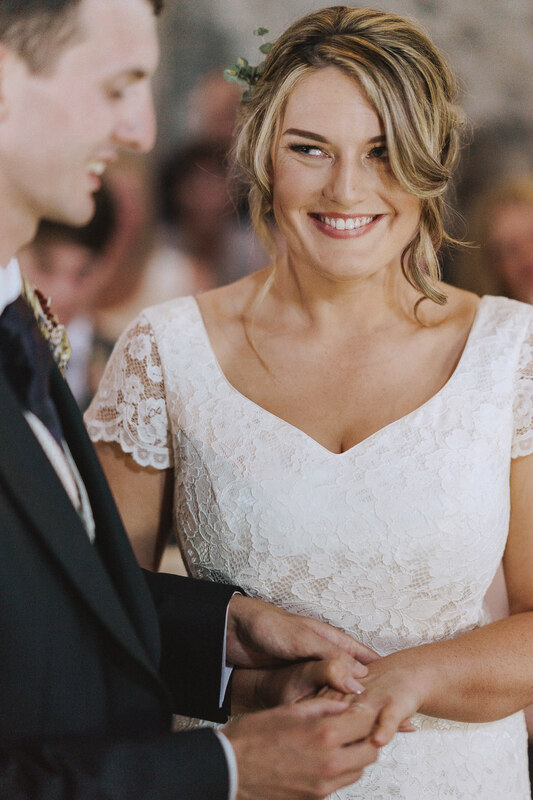 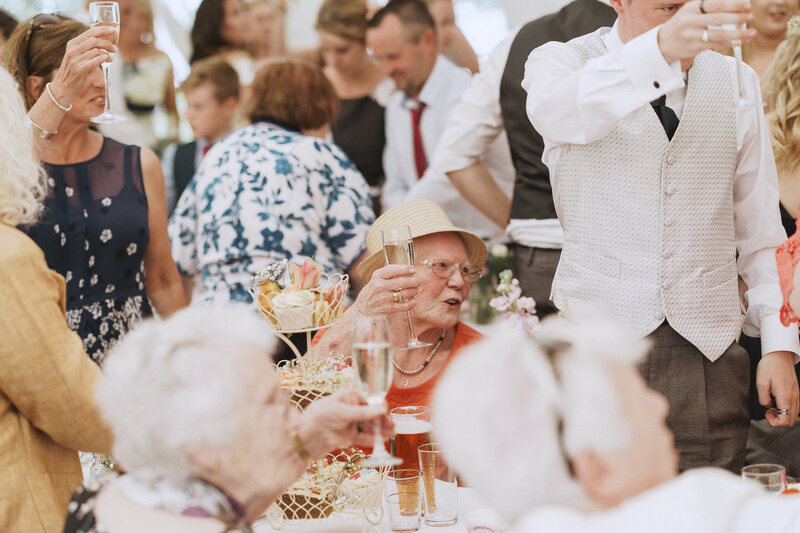 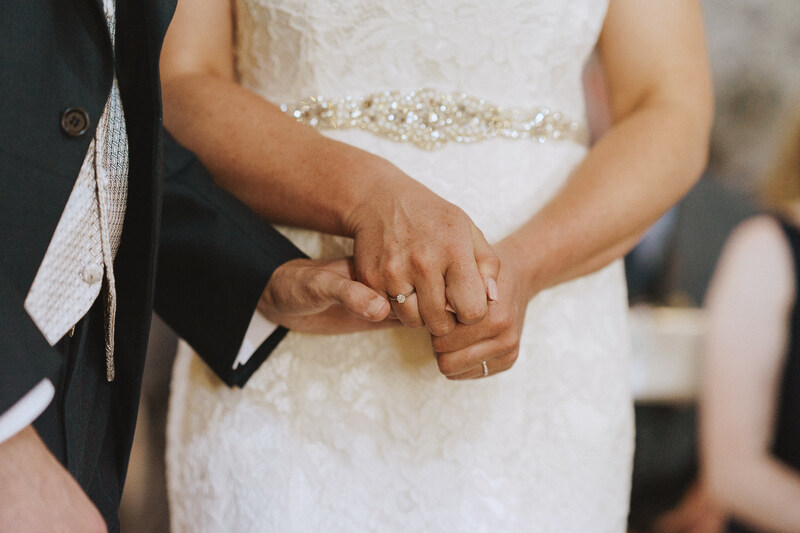 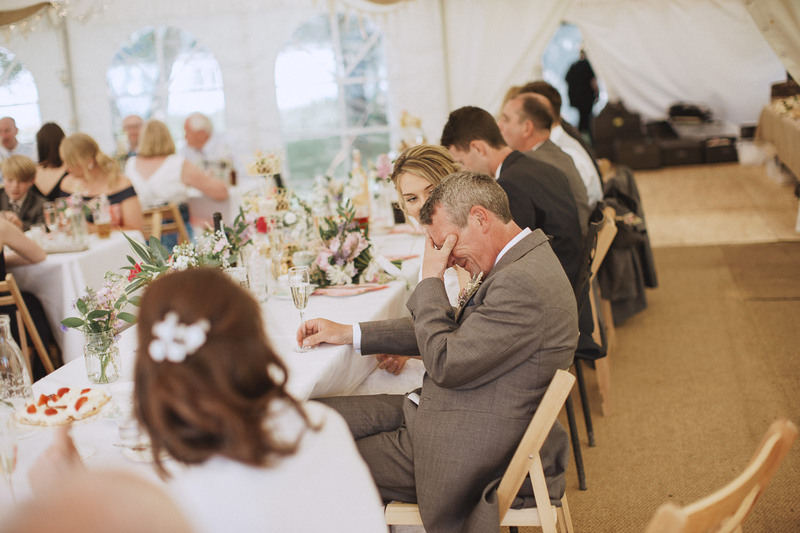 This wedding was the perfect mix of simple elegance, and laid back country charm. 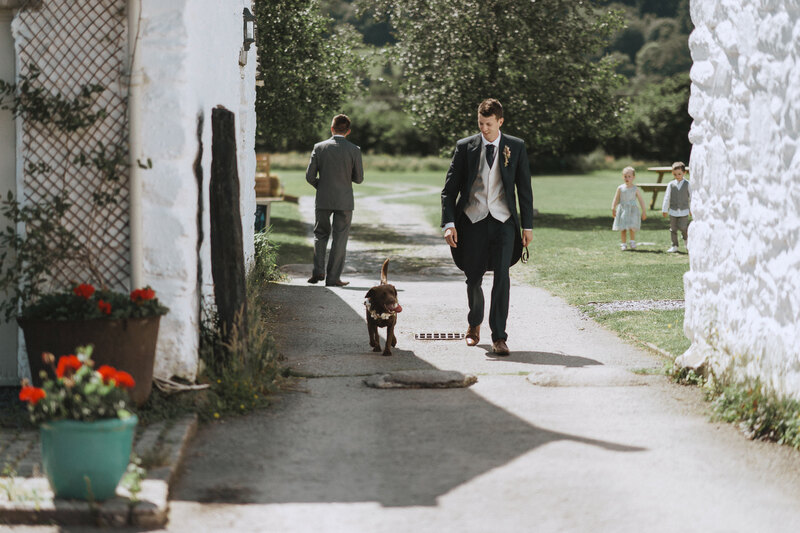 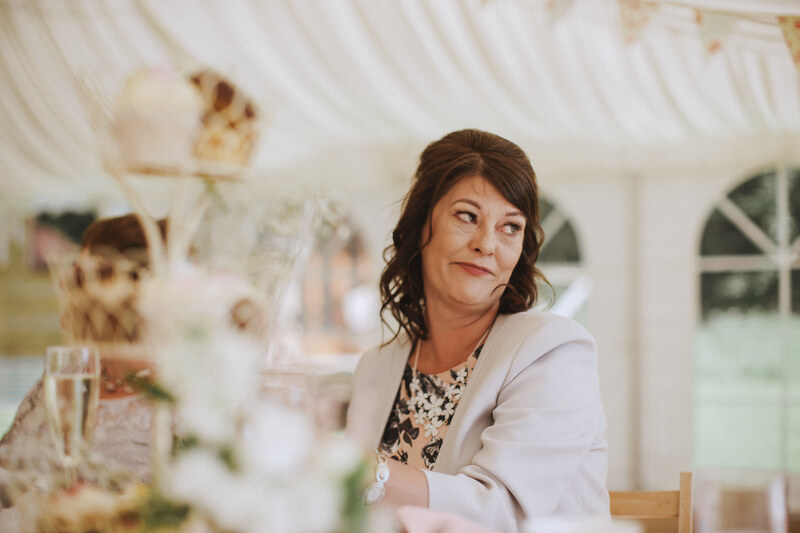 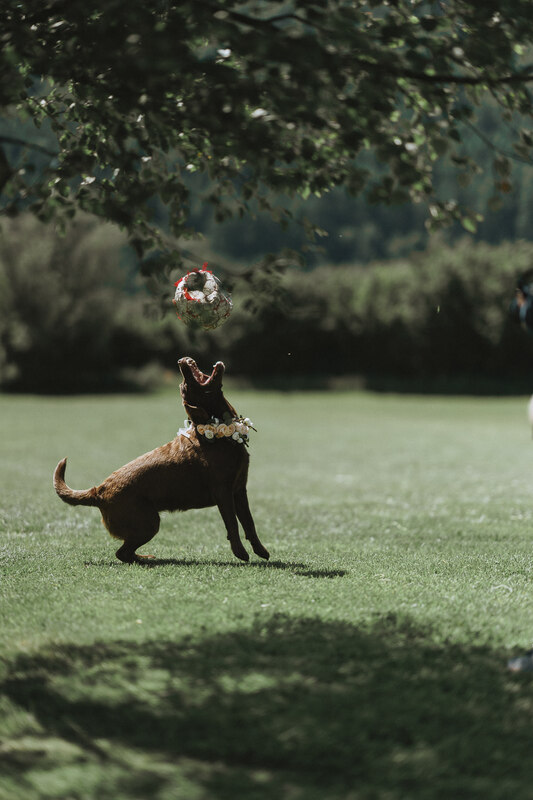 Joanne and Pete from Hafod Farm LOVE dogs (as do we at Fox & Bear Photography) and they are more than happy for their couples to bring their dogs to their weddings. 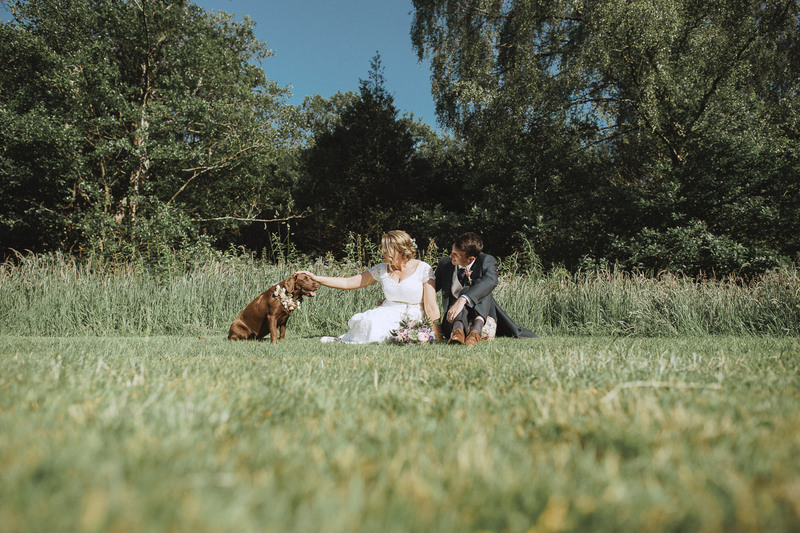 Lucy brought her chocolate Labrador; Piggy along and she even got involved in some of the photographs. 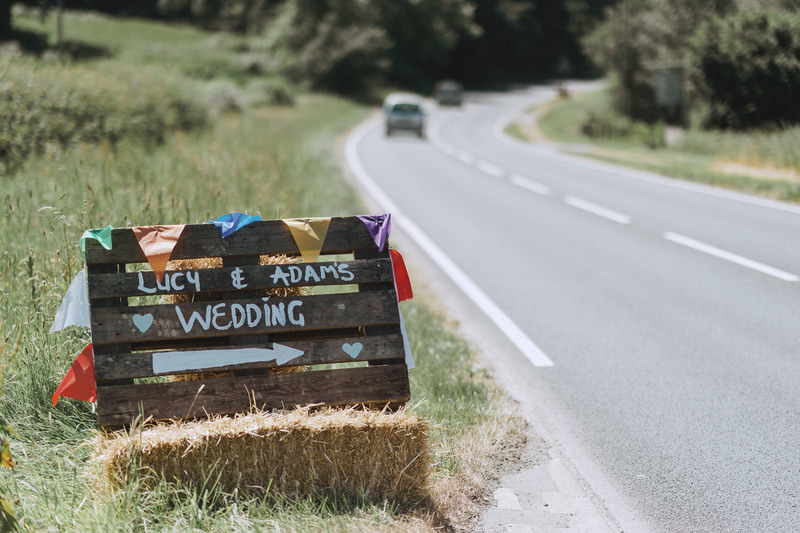 Before starting the evening festivities we jumped in the car and went up the road to Lucy’s family farm. 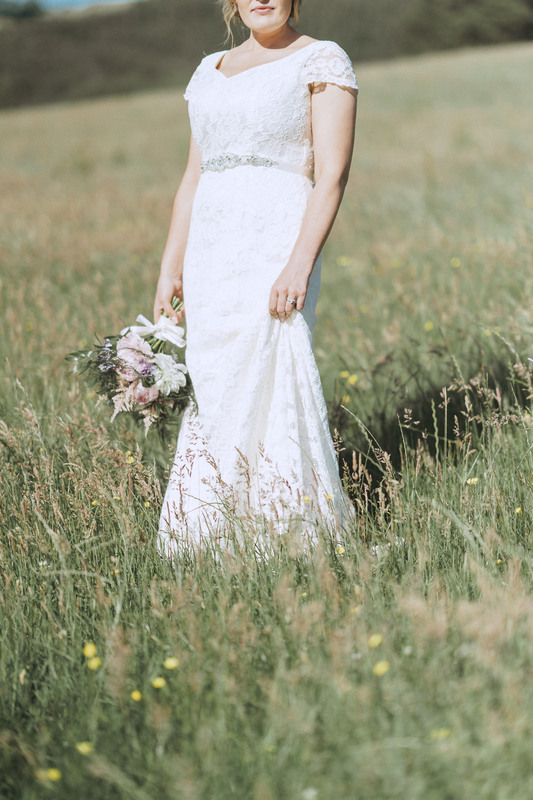 Surrounded by childhood memories and fields of hay, we had a quick photo session which provided the most stunning photographs. 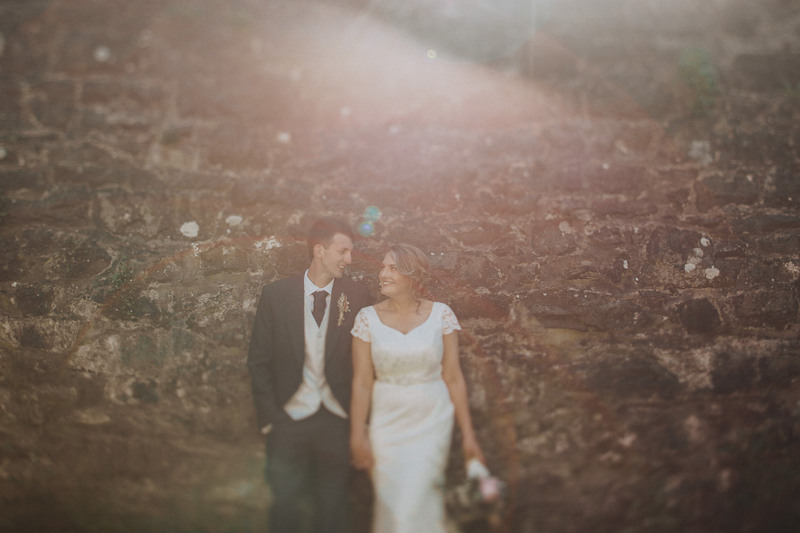 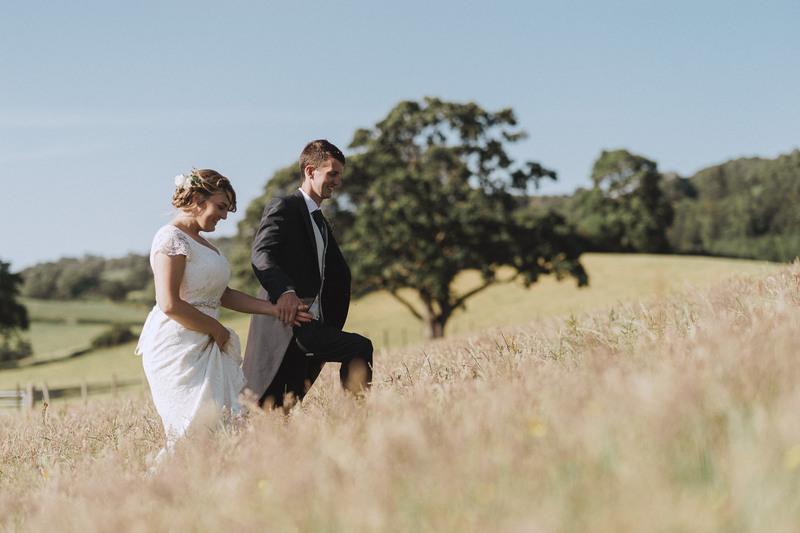 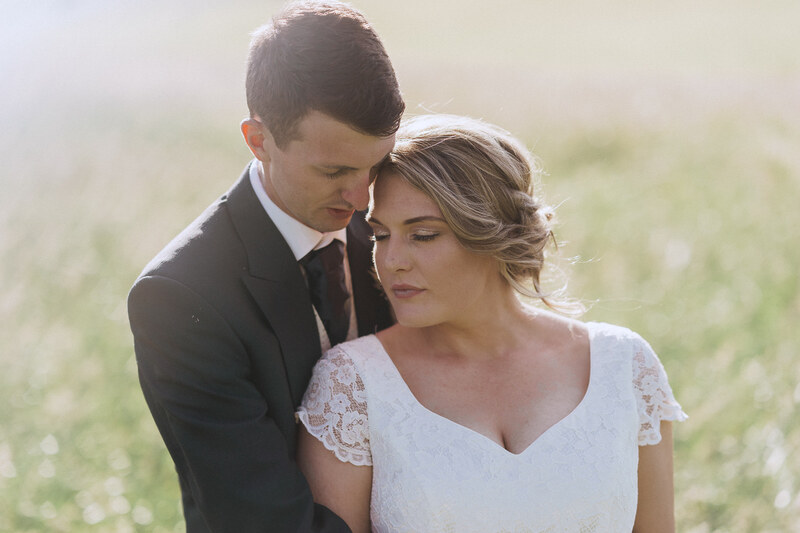 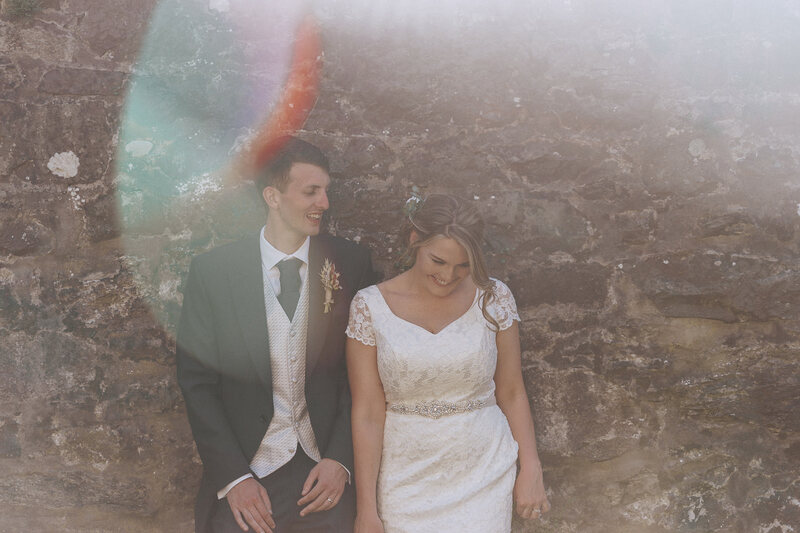 Hafod Farm was the most perfect backdrop for Lucy and Adam to enjoy their stunning day. 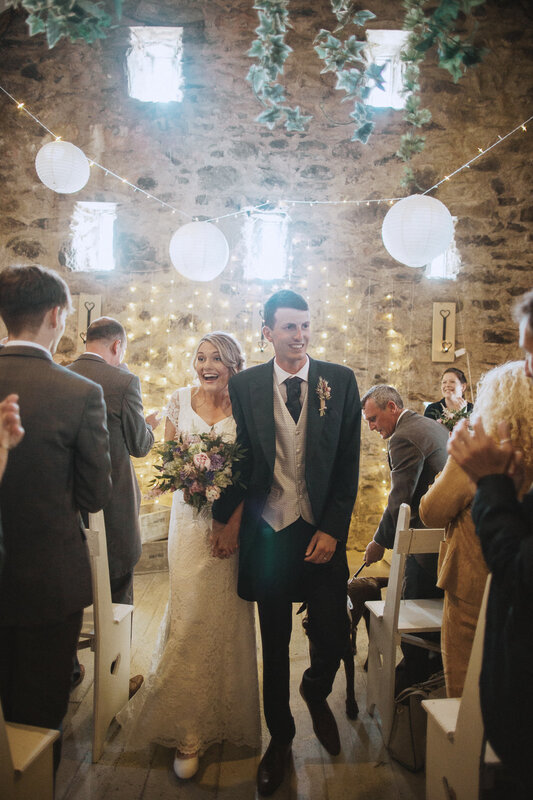 We absolutely loved working with this amazing couple and venue. 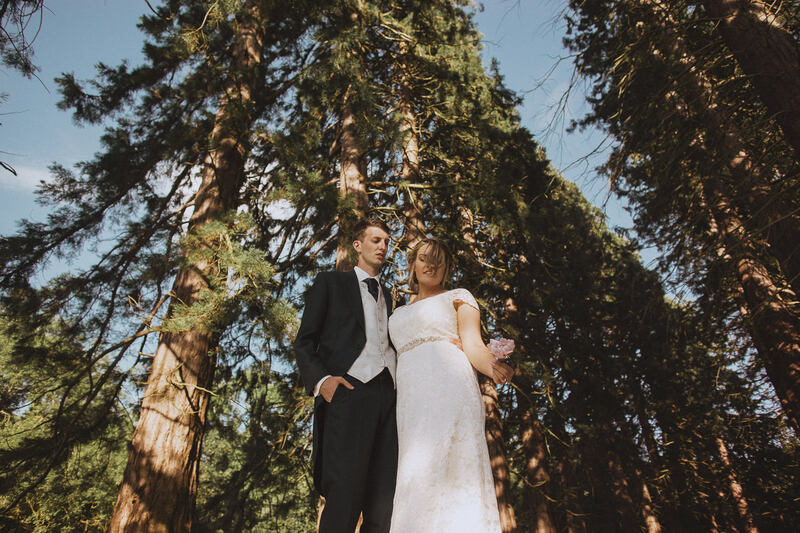 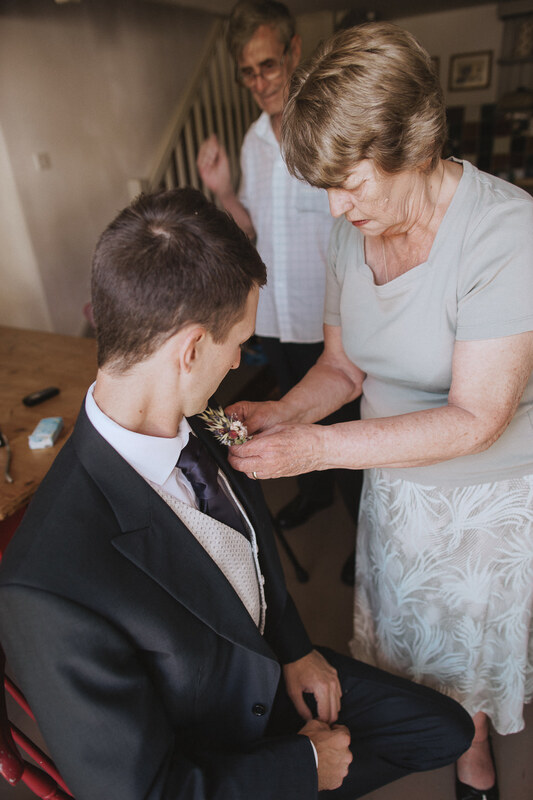 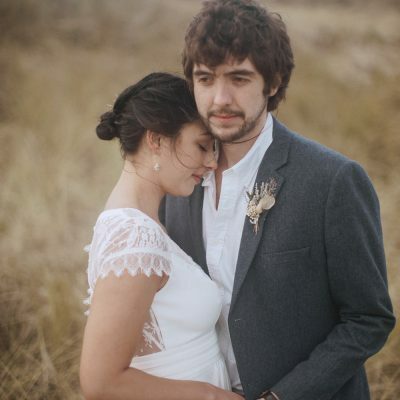 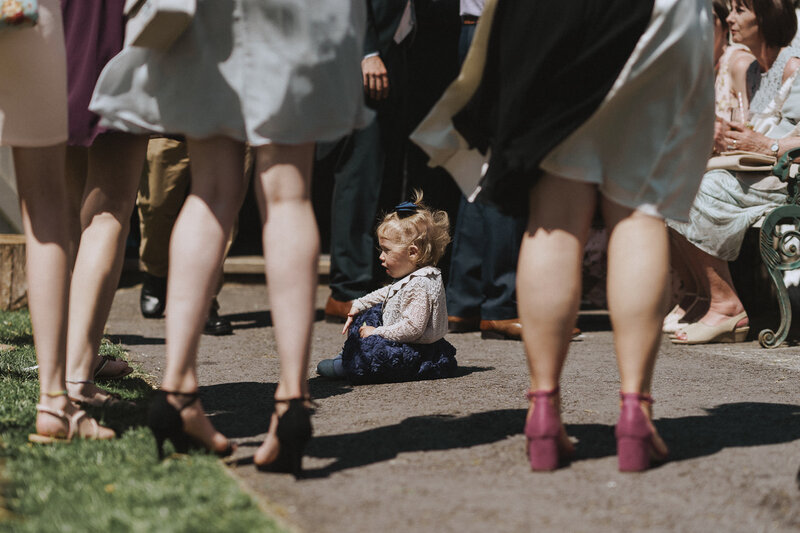 Recently, one of Lucy and Adam’s photographs won us a place in Wedding Sense’s Shropshire’s Finest competition. 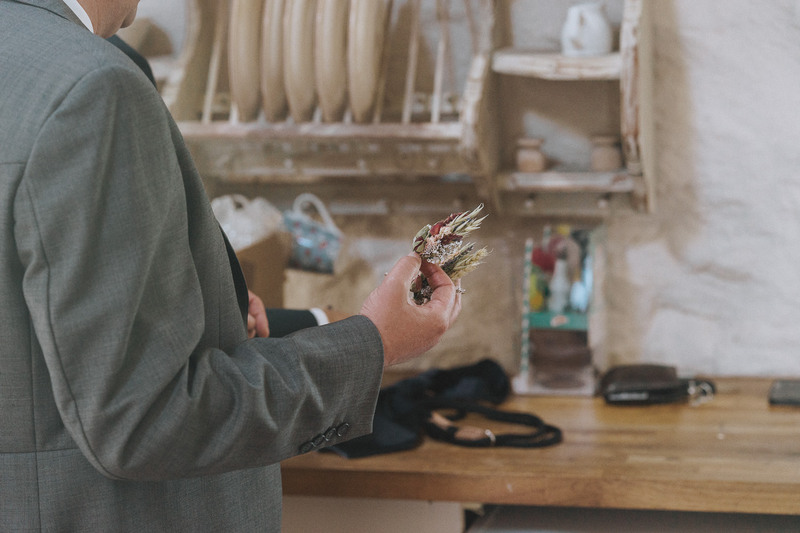 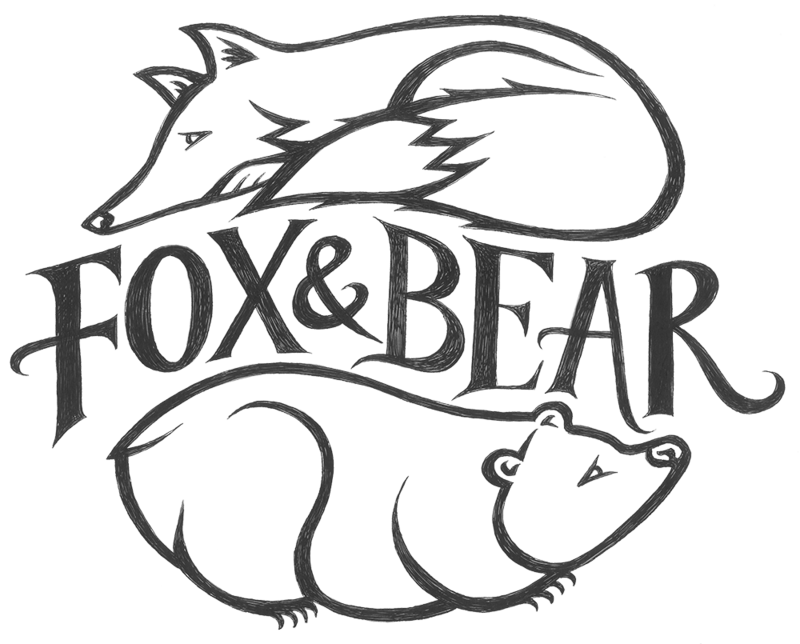 We were thrilled to win this award and you can check out the post they have for us here. 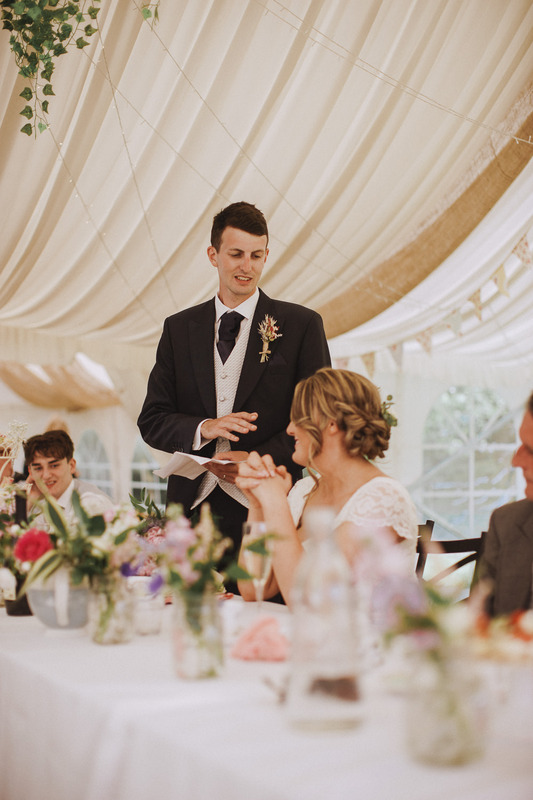 Are you organising your wedding? 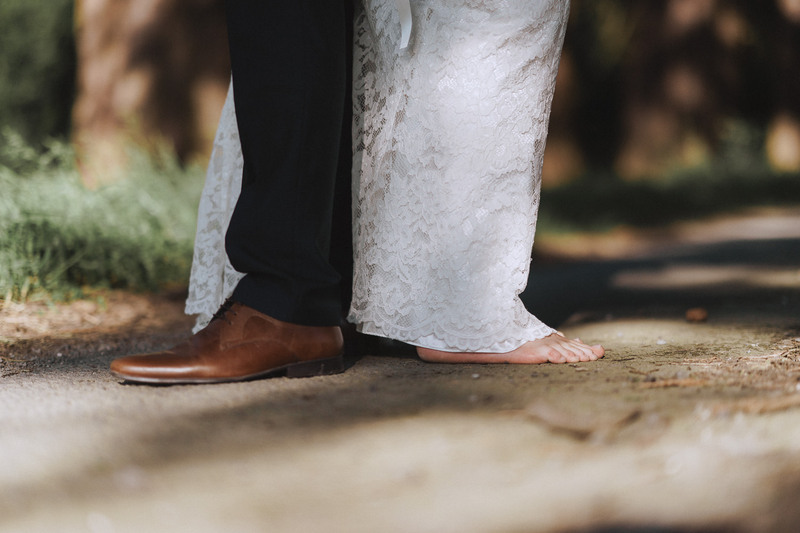 We’d love to hear what you have planned. 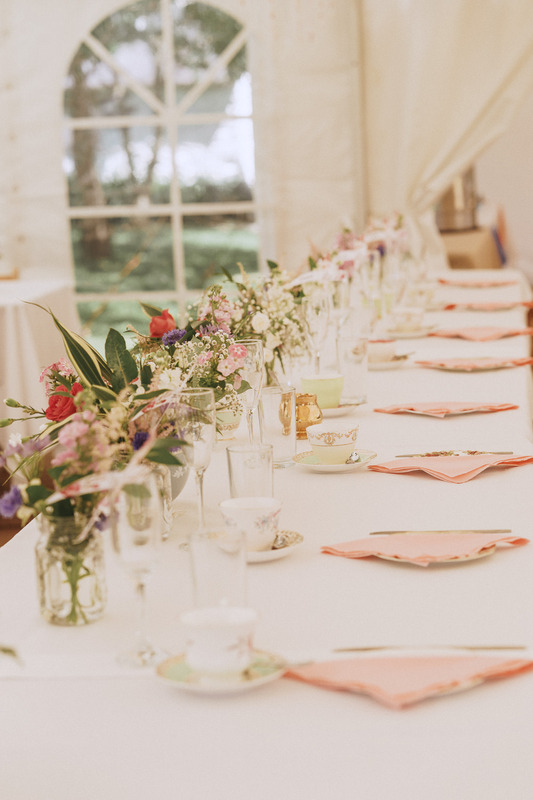 Get in touch and we can chat all things wedding.